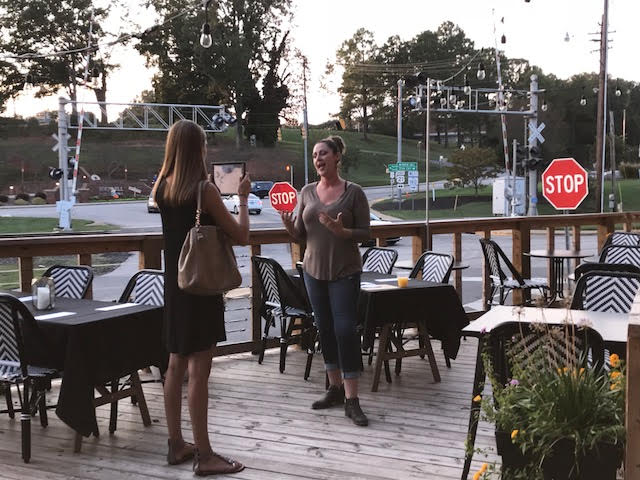 Kelly Kashmer was interviewed this week on Miller Realty Group’s “Talk of the Town Carolinas” about NothingPink’s upcoming annual fundraiser Croquet and Cocktails. See the interview here! Kelly Kashmer was recently honored as a Carolina Has Heart recipient with WCNC. 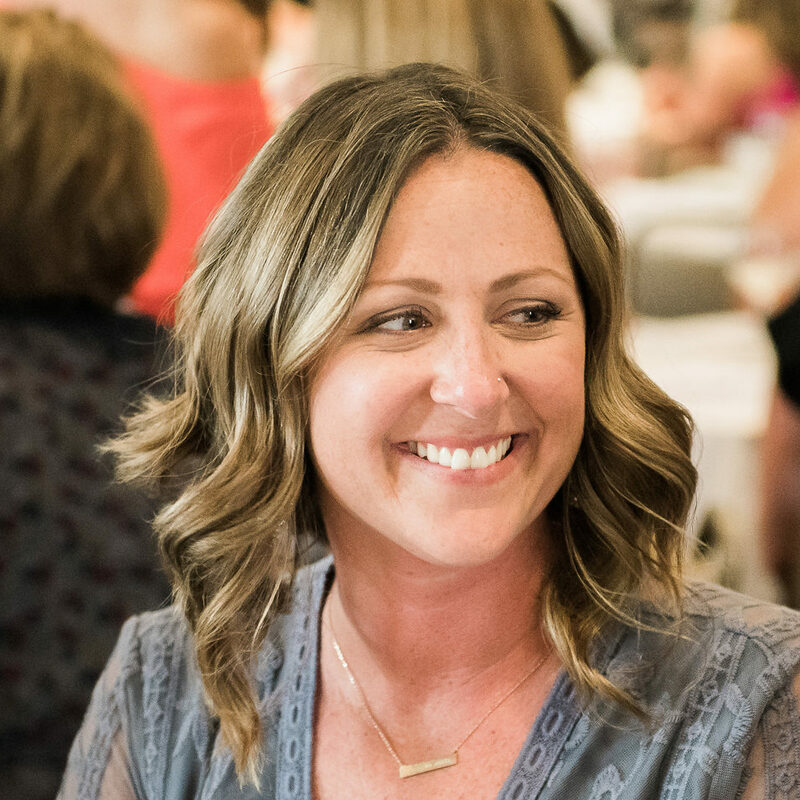 She had an opportunity to sit down with Sarah French and share the incredible story of NothingPink. See the interview here! How accurate are at-home DNA tests at detecting medical risks? Watch Kelly discuss her own experience with at-home genetic testing as she sits down with Allison Latos of WSOC-TV. 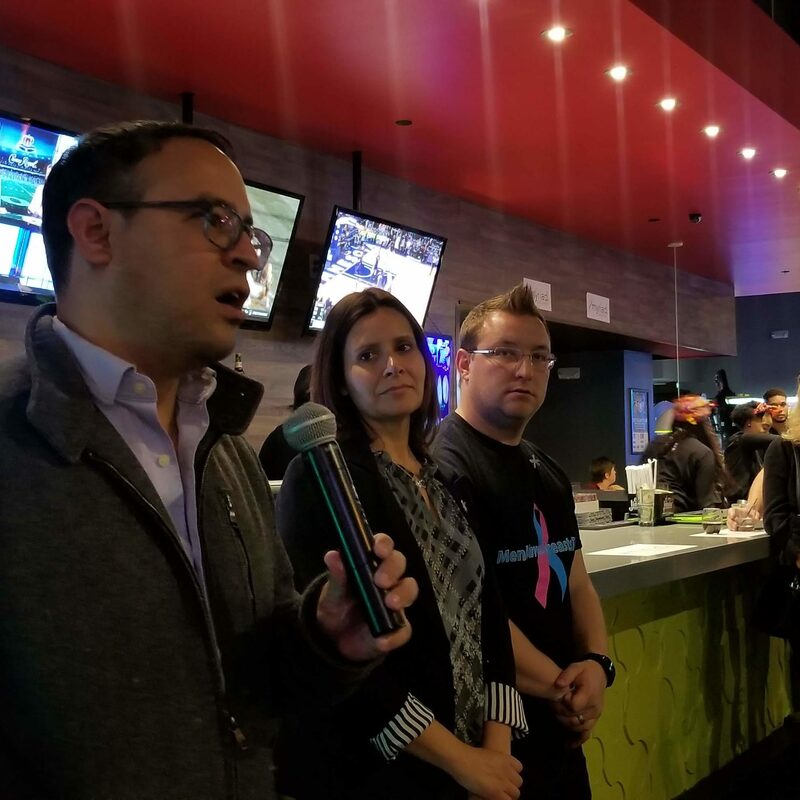 NothingPink was honored to be chosen as one of three non-profits in the nation to receive funds raised during Myriad’s 5th Annual Advocacy Fundraiser. 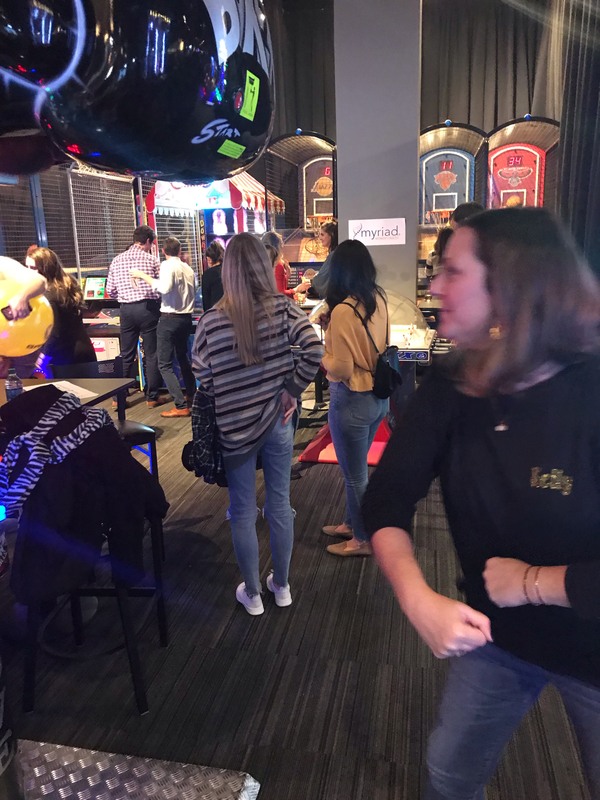 This event was held at the National Society of Genetic Counselors Conference in Atlanta, GA in November with over 600 genetic counselors in attendance. 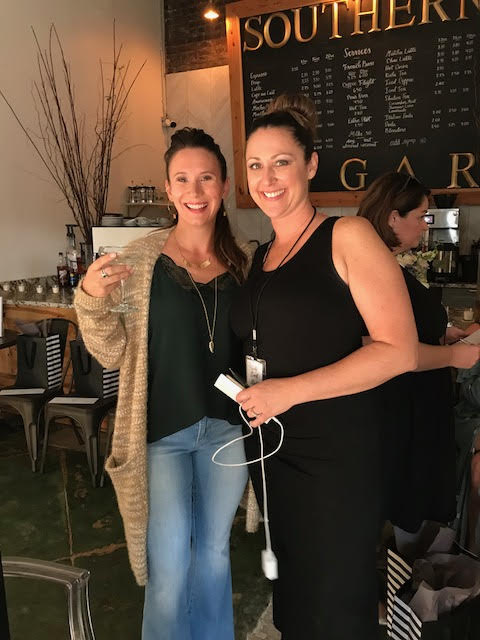 Kelly, Melissa, and Erin attended the event where they were presented with a check for $10,500 which will go a long way in helping NothingPink to achieve their mission of educating women and raising awareness of genetic testing for hereditary cancers. NothingPink is sincerely grateful for Myriad’s generosity and look forward to future collaboration. Several of our dedicated volunteers represented NothingPink at the Baxter Fall Festival on Saturday October 20th. 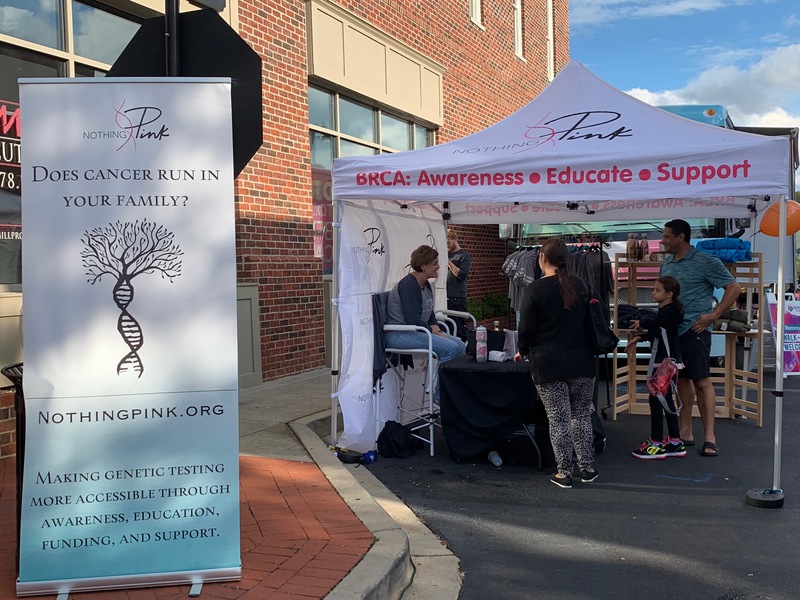 They helped spread the word about genetic testing for hereditary cancers as many of the festival attendees stopped by the booth. 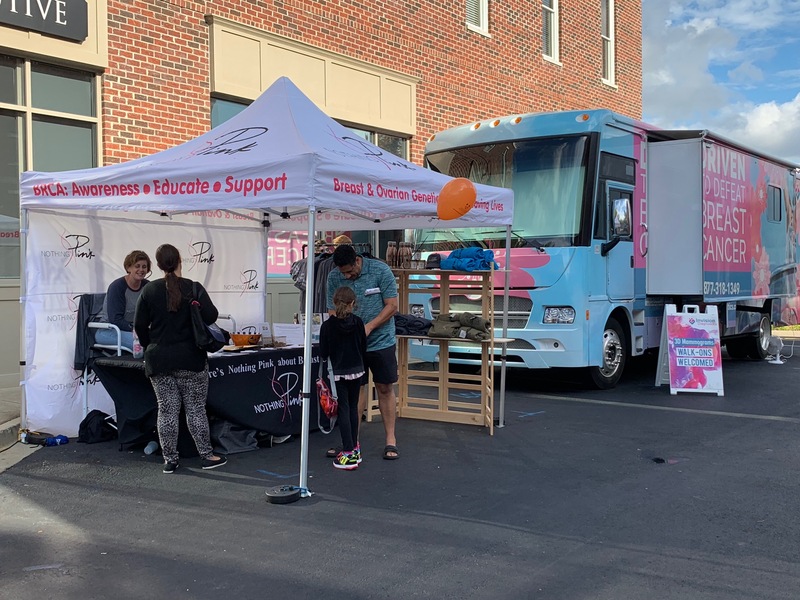 NothingPink was joined by Invision Diagnostics who performed twelve mammograms on their mobile mammogram unit that day. Many excellent connections have been made at this festival in the past and we were happy to have our volunteers representing our organization once again. 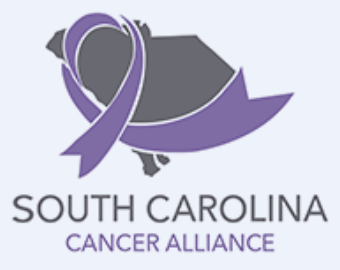 Nothing Pink was honored to have the opportunity to attend the South Carolina Cancer Alliance meeting on Friday, October 19th for the presentation of the 20-Year Cancer Trends for Incidents, mortality, and survival. Here are some facts we gained from the meeting. In South Carolina, Female breast cancer is the most commonly diagnosed cancer among women and ranks third for cancer deaths. Overall South Carolina ranks 20th for female breast cancer incidence and 9th for deaths due to the disease. York county specifically has a higher than state median mortality rate. 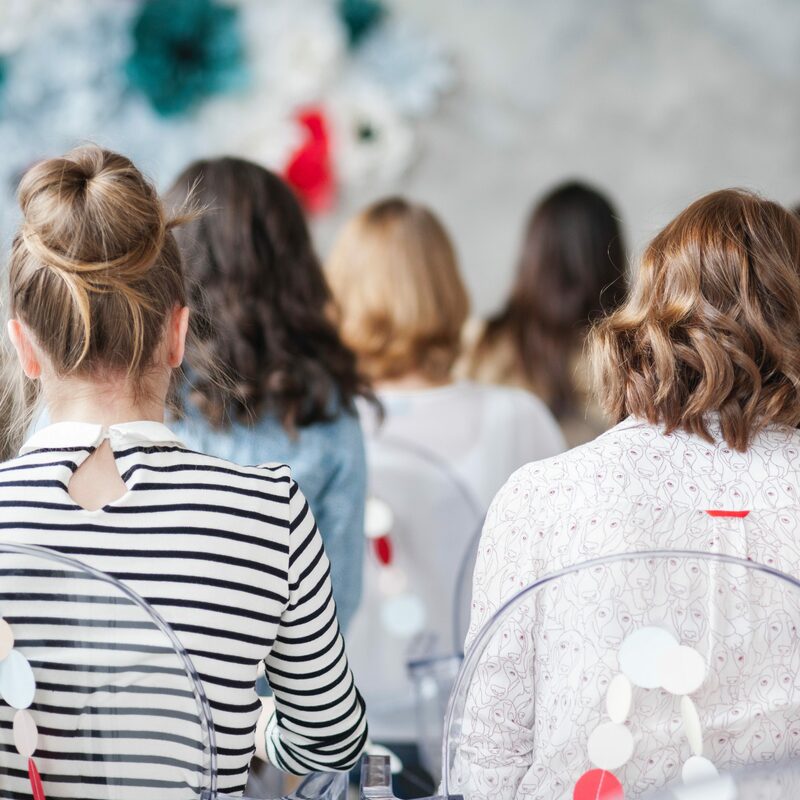 There are several risk factors for breast cancer, including women’s reproductive history, family history and genetic disposition (BRCA1- BRCA2), being overweight, and consuming alcohol. Here at NothingPink we continue our mission to raise awareness about the hereditary risk for breast cancer and hopefully positively effect these trends in the future. 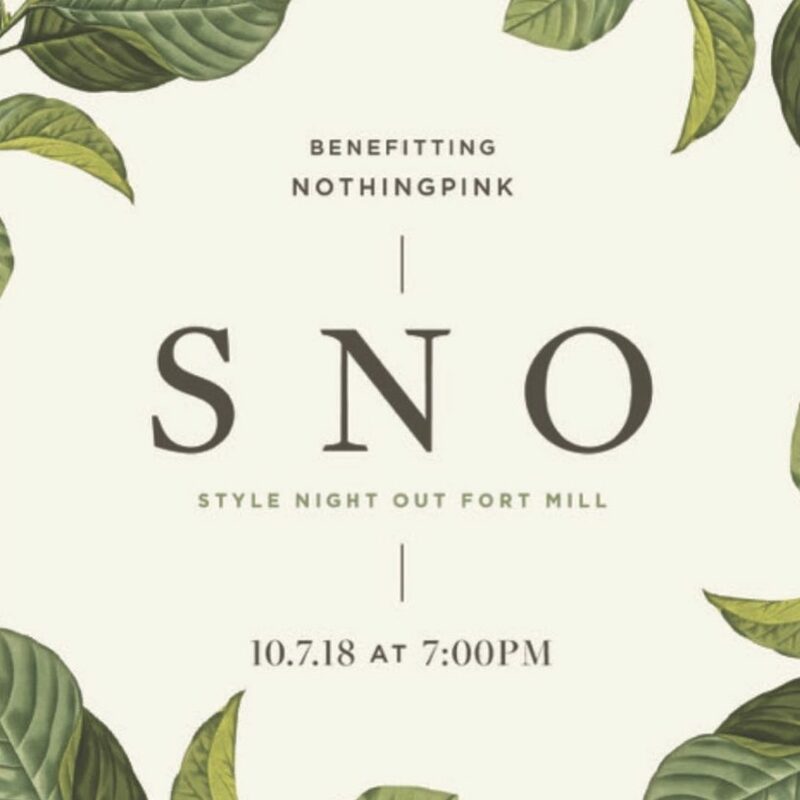 NothingPink partnered with Southern Sugar to launch the first Style Night Out Fort Mill on October 7th, 2018! 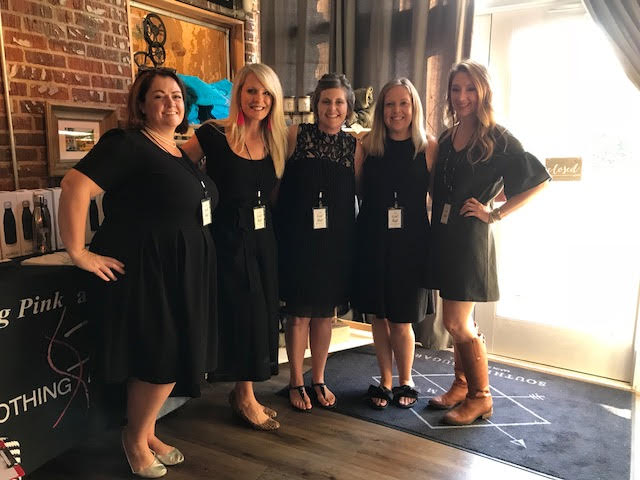 The event featured four local boutiques including Broadcloth, Katy Loo, Crossings on Main and Page 6 presenting their Fall and Winter clothing lines. 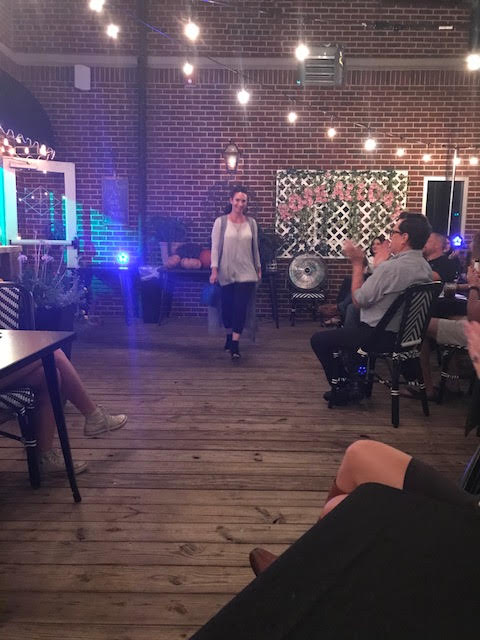 Our very own Lisa Payne, Vice President and Volunteer Director, was one of the honored guest models showing off the clothing lines! 50% of the ticket proceeds will be donated to NothingPink. 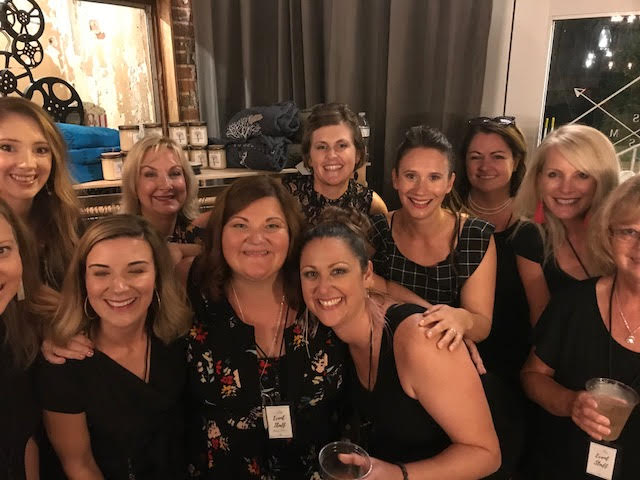 Thank you Southern Sugar for hosting this wonderful event! 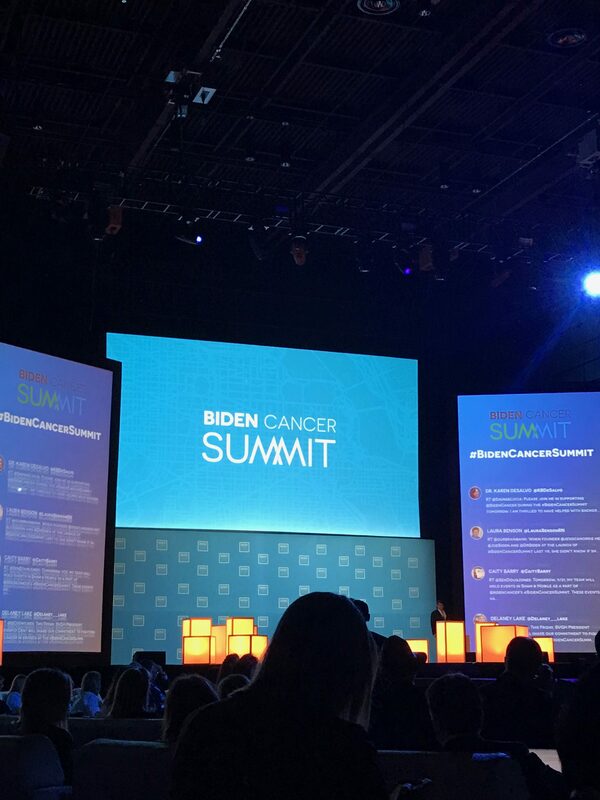 On September 21st, 2018 Kelly Kashmer, Executive Director and Krystal Person, Political Outreach, attended the Biden Cancer Summit in Washington, DC. 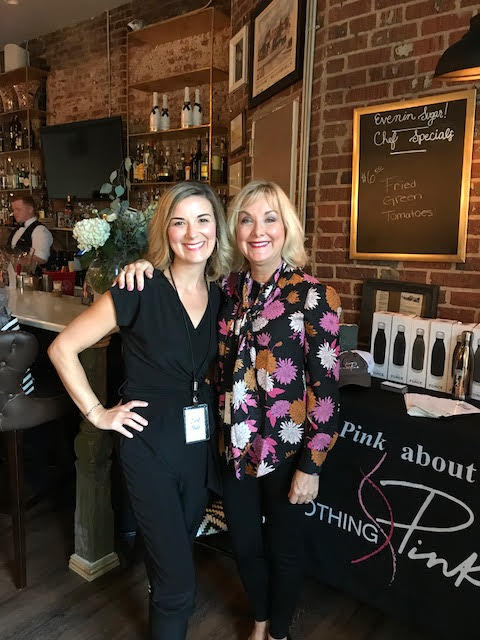 They were surrounded by hundreds of the world’s thought leaders, physicians, scientists and others who have created non-profit organizations like NothingPink. 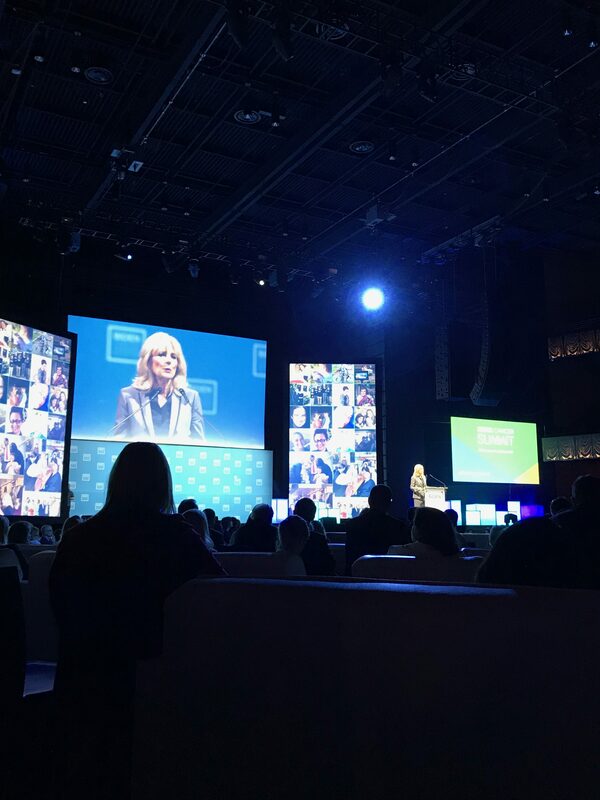 They heard stories of families who have lost loved ones, stories of survivors and about the amazing work companies and individuals are doing to help those faced with this disease. 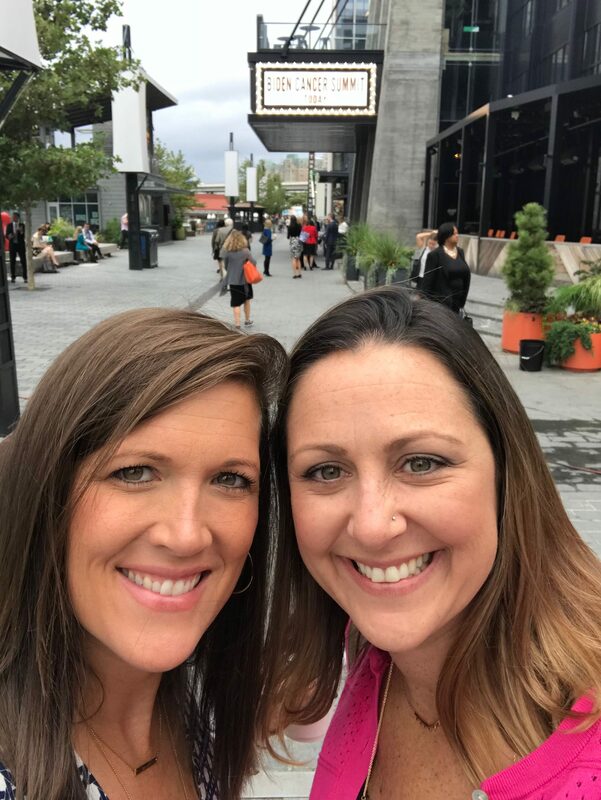 Kelly and Krystal attended a break out session focused on Prevention that was facilitated by leading oncologists from Memorial Sloan Kettering and MD Anderson Cancer Center. 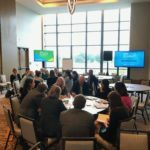 They sat across the table from Katie Thiede from Bright Pink, Dr. Thomas Block HeritX, and many others who all share the same mission as NothingPink. Through education, genetic testing, and screenings, let’s prevent individuals from ever having to receive a cancer diagnosis. 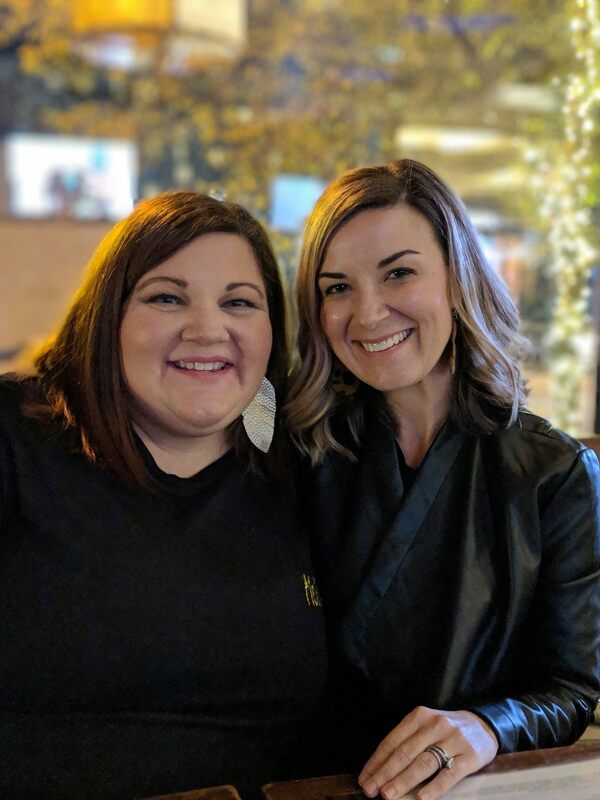 Kelly and Krystal look forward to continuing their work and the building of strong relationships with the individuals they met, so that collectively, they can all continue our great work in the fight against cancer. 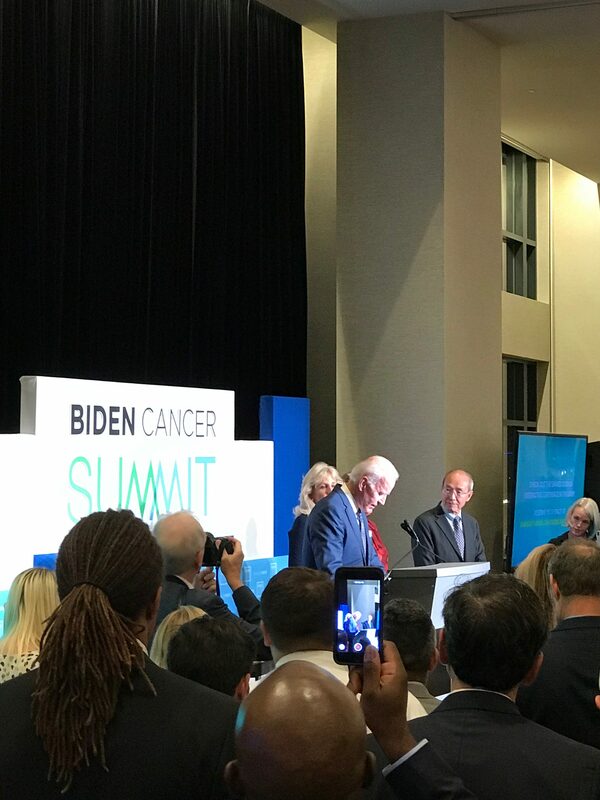 Thank you to everyone at the Biden Cancer Initiative for your amazing work and dedication. It is truly amazing what you have created and all the people you have been able to bring together. 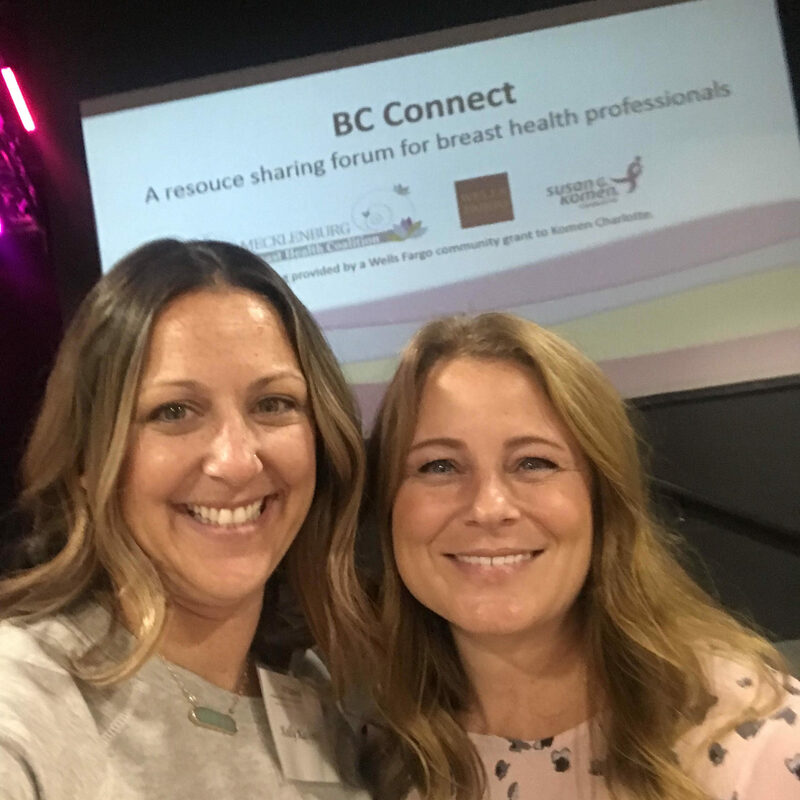 Kelly Kashmer and Nicole Jerge had the pleasure of attending the first annual BC Connect resource sharing forum for breast health professionals on September 5, 2018 held at Project 658 in Charlotte. 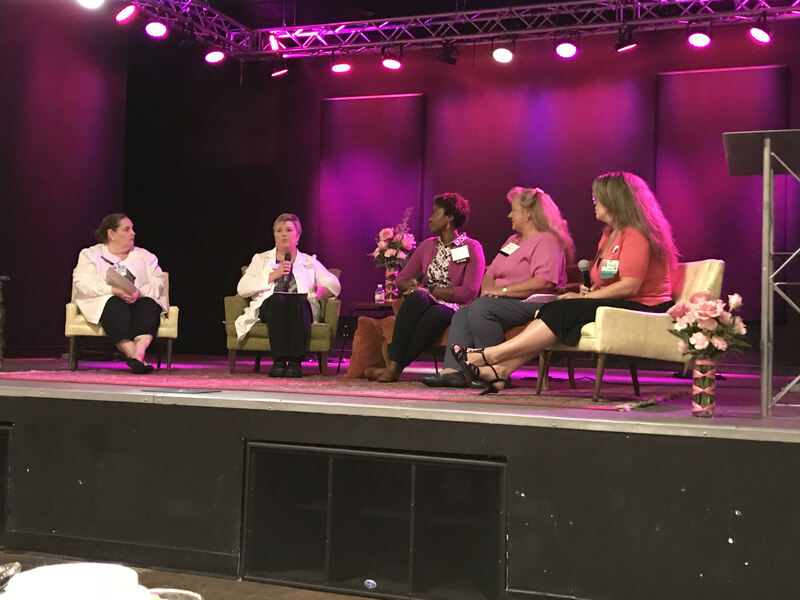 The program was put on in part by the Mecklenburg Breast Health Coalition whose mission is to address all gaps in the breast health/breast cancer continuum of care in Mecklenburg County. 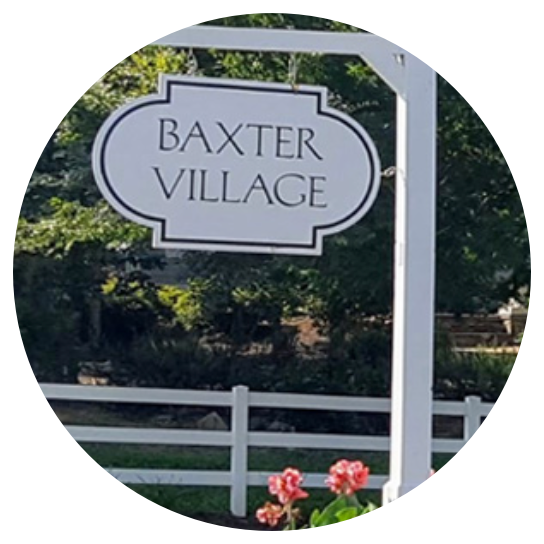 Their vision is an important one which involves increasing breast cancer awareness and access to care by connecting individuals with community resources. 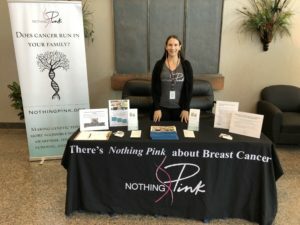 Several organizations were represented at the event and had tables with loads of resources about themselves and their missions, many of which were previously unfamiliar to NothingPink. It was great to gain new outlets and resources to better serve women who reach out to NothingPink for assistance during their journey. 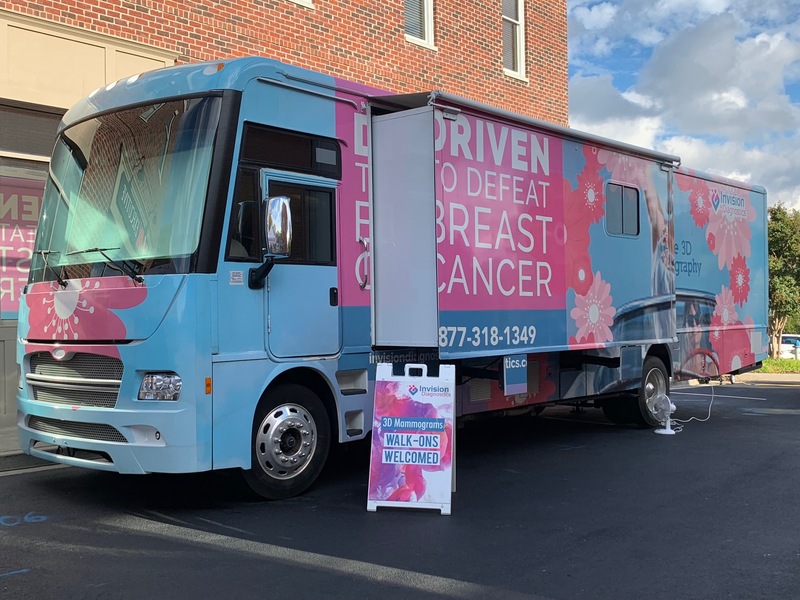 We learned about Angel In Disguise, a non-profit run by another breast cancer survivor providing transportation to appointments, to pick up medications, and even to run errands. 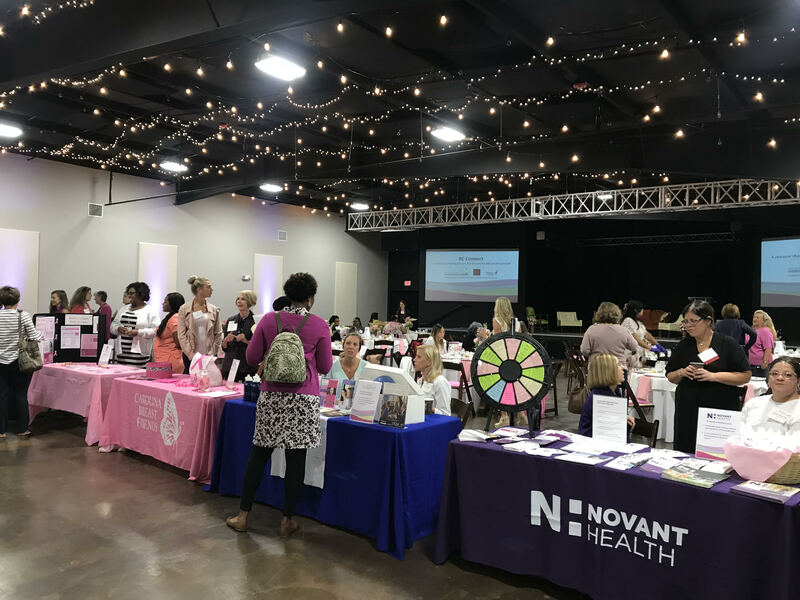 We spoke with a representative from the Matthews Free Medical Clinic and the Pretty in Pink Foundation, both of which assist with health care expenses for uninsured and under-insured patients. 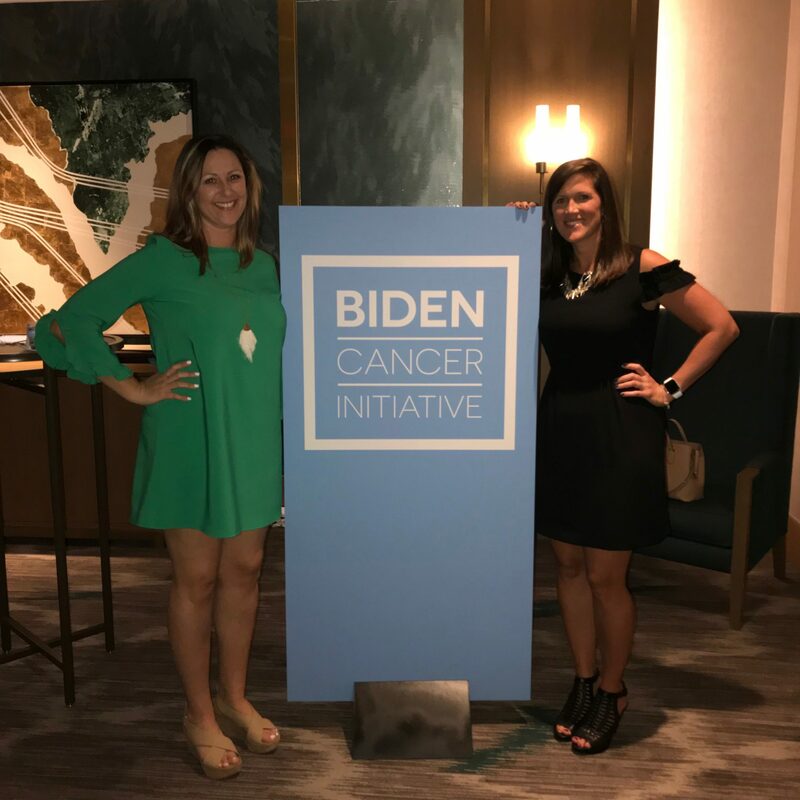 It was truly incredible to be surrounded by so many people with a common goal of supporting women navigating their way through breast cancer. After visiting with several of the organizations represented, everyone was seated to hear a presentation by the Executive Director of Care Ring, Dr. Don Jonas. 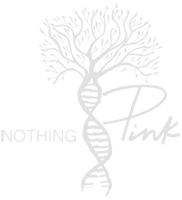 Their mission is to empower individuals with limited resources to establish and maintain good health. Much of his presentation focused on the importance of inter-professional collaboration in the care of patients. 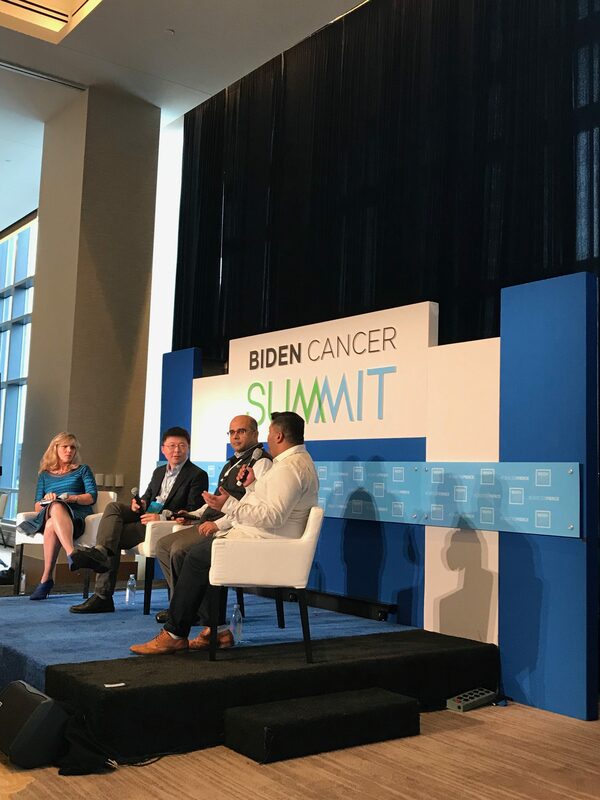 The final portion of the morning’s program was a panel discussion on how best to remove barriers and improve patient outcomes in breast care. Panelists included nurse practitioners and breast nurse navigators. It was truly inspiring to hear from these women about all of the resources that exist in Charlotte and the surrounding communities and how much they care for each patient. 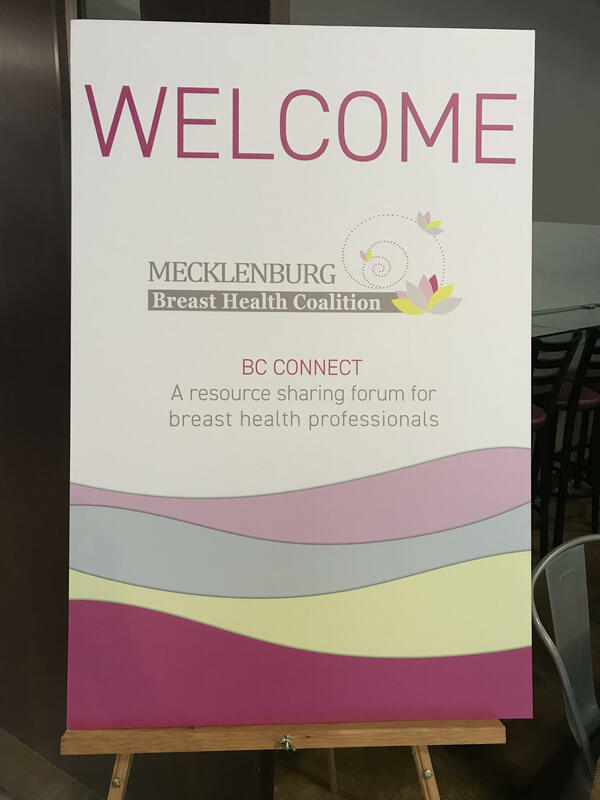 We look forward to further collaboration with the Mecklenburg Breast Health Coalition in the future.